The StreetWork Board, LAC Members and Staff would like to invite you to join them at the Supporters’ Breakfast. The Supporter’s Breakfast is a great opportunity to meet members of the youth services team and learn about the work they deliver to 'at risk' young people living in the Northern Sydney Region. 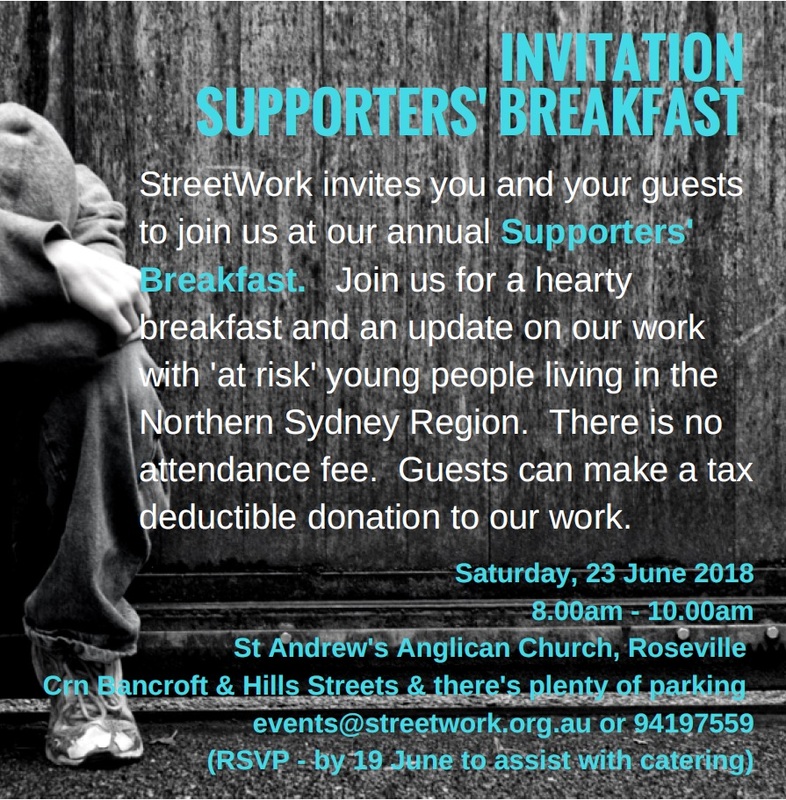 This year we’re again being welcomed by St Andrew’s Anglican Church at Roseville (corner of Bancroft and Hill Streets) who are hosting the breakfast. The breakfast starts at 8am and despite the early start, it's a great way to kick start your weekend with an uplifting and thought provoking insight into life on our local streets today. There is plenty of parking available in nearby streets and there is no charge to attend the breakfast. For catering purposes please let us know that you're attending by emailing events@streetwork.org.au or calling 9419 7559.